California Livin Home: No Beach House? No Problem. 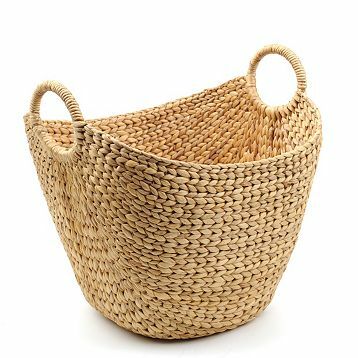 I love finding the perfect item for that last empty shelf or lonely coffee table. The unique piece that will finish off a room or just sit and look pretty as a nice accent. No Beach House? No problem. 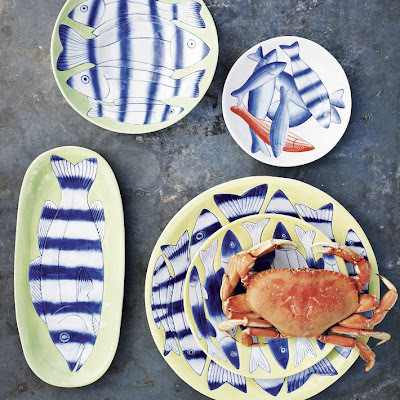 Adding simple coastal touches to any decor is easy. 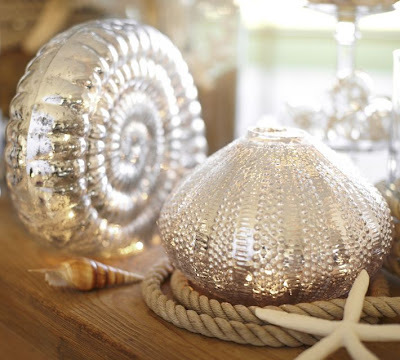 Here I found item's that are truly unique, some common and a couple that hit the ball out of the park and will add just that right amount of seaside style to any room in your home! 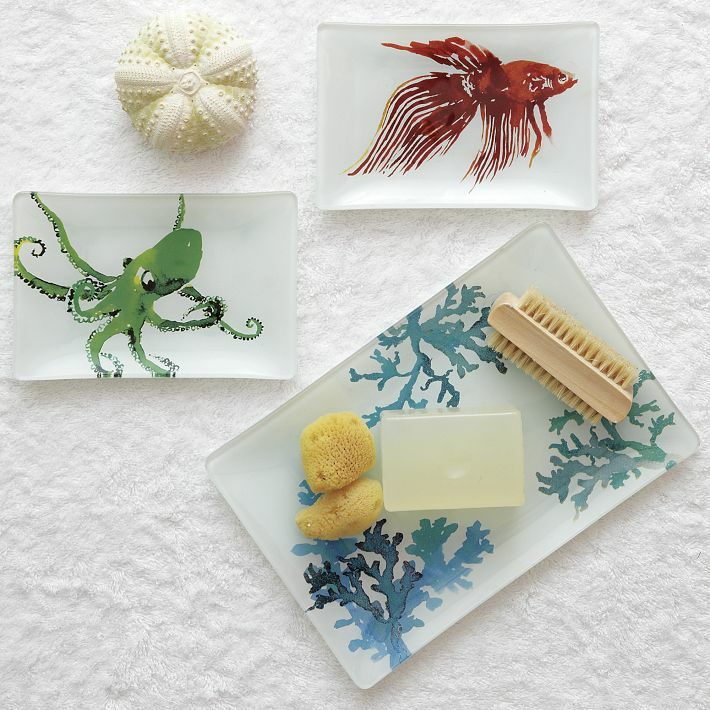 Octopus & Goldfish $10 each , Coral $12. 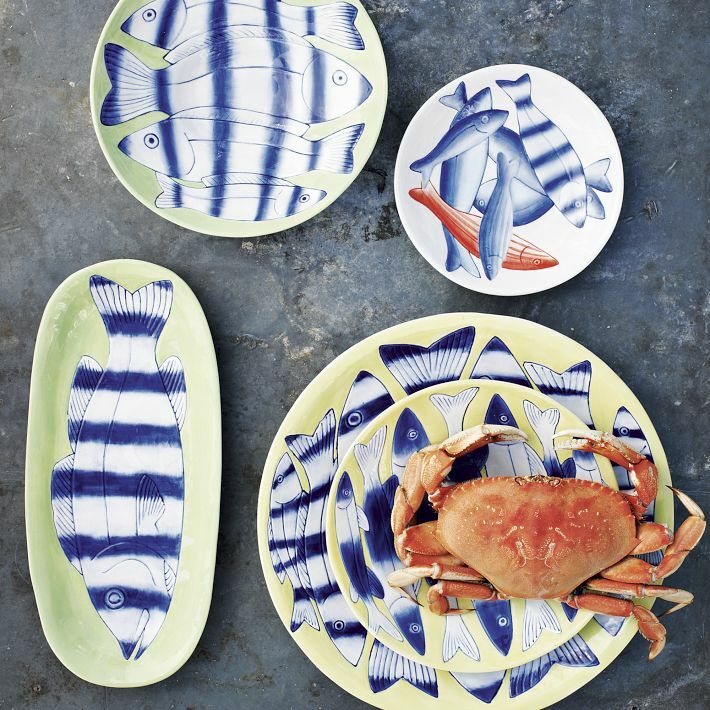 You can always find something fun & beachy at Pottery Barn. Like these Lit Mercury Glass Shells. The Sea Urchin is $39 and the Nautilus is $49. 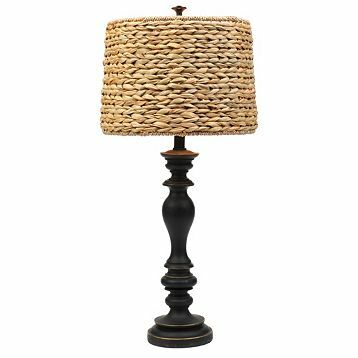 For an entry, bedroom or living room, this Seagrass Lamp from Kirkland's for $50 would bring just a touch of that much needed Coastal feel. 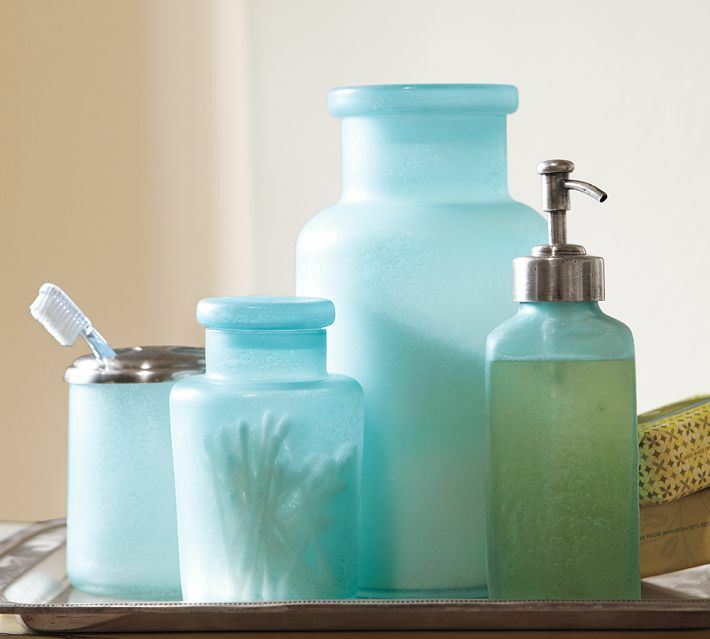 Blue Beach Glass Bath accessories at Pottery Barn. Toothbrush Holder $14, Sm. Canister $19, Lg. 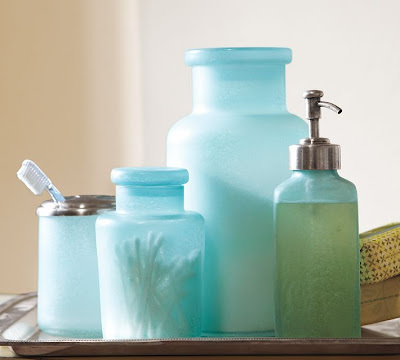 canister $29, Soap/Lotion Pump $19.